The MPO Assessment is a psychometric tool that provides valid and reliable insight into how the employee will think, react, work and communicate. Contact Patti today to learn how this tool can be used in your organization for hiring, coaching, development, team building for improved employee interactions, culture and bottom line results. 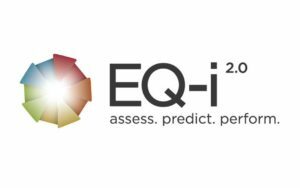 Improved EQ is the game-changing difference between good and great. 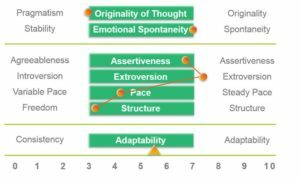 By simply defining EQ and providing a common language and expectations a team will be more highly effective. From business services organizations, to a lumber supply company, to the United States Air Force – find out how this tool increased their human capital for bottom line results. Clear and logical structure, processes and accountability lead to quicker business execution and improved results. Combined with her business knowledge and organizational design expertise, Patti will lead your team to identify clear and logical structure and processes to impact your bottom line. The quickest way to individual success is a well-defined PDP; Professional Development Plan. Your personalized PDP will identify how to measure your success, as well as a step-by-step plan on how to improve your effectiveness. As a certified mediator, Patti works with individuals or parties to resolve conflicts in the workplace and as ordered by the court for employment or family law matters.